Recently we received the following addition from a very close coaching friend of ours to our 7 on 7 Youth Passing Playbook. The coach’s reasoning to add this was to take advantage of the skill set of his #6 receiver. Though it may be hard to tell from the diagram, the #3’s route is more of a Sit Route where he is instructed to attack inside the Linebacker finding space over the ball and “getting big in the paint”. As our coaching friend pointed out, this would be more of a Zone concept and when we draw it up against a Cover-2 Zone defense we like the possibilities that it provides. 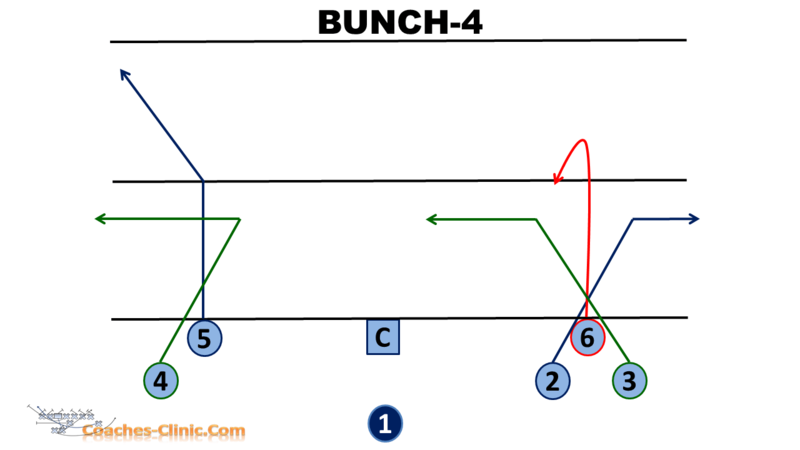 We like that it puts the right Cornerback in conflict where either #6 or #2 should be open. We also like the fact that the #5 will likely occupy the left Cornerback freeing up the #4 on Whip Route. 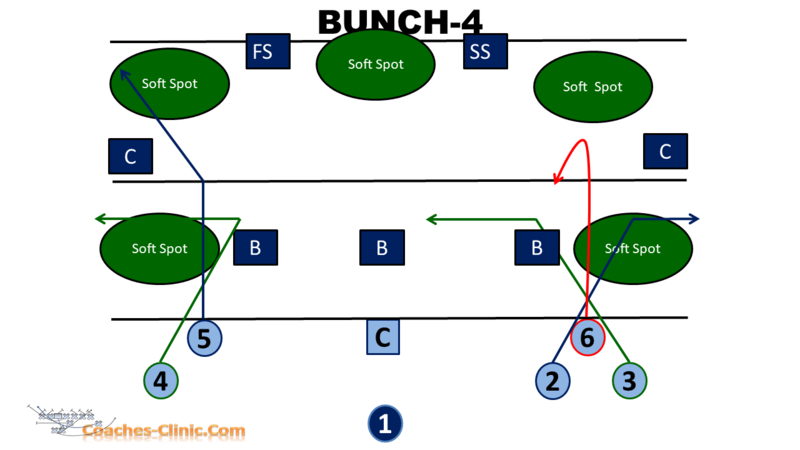 If you are interested in seeing some of our favorite 7 on 7 plays, as well as get a preview of our 7 on 7 Playbook, we suggest that you take a look at our 7 on 7 Youth Passing Playbook post we made a while back.